DB Breweries presented us with a unique challenge (the kind we thrive on) – to convert a storage facility into a useable and functional office facility. An old portacom type building that had been used as a storage facility for many years. This would seemingly be a simple conversion, however, no maintenance had been carried out on the building during its many years of use which resulted in severe damage. 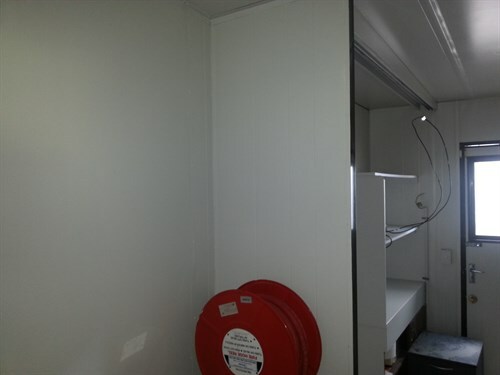 The solution: refurbishment including painting, making it ready for conversion to new office facilities. Every project needs a point of inspection, to reveal hidden surprises and be a basic point of assessment. 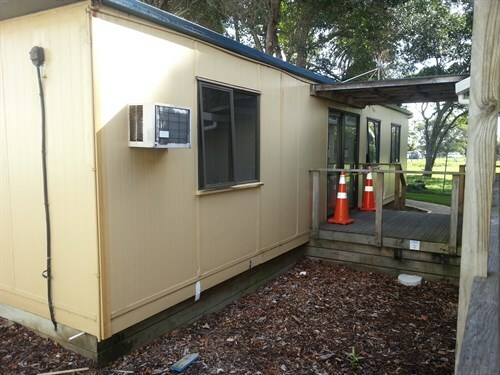 Our inspection of the site revealed major water damage to the particle board floor and chipboard walls caused by leaking guttering and broken downpipes. This guttering due to its construction and integration would also prove to be further problematic. The rotten floor areas needed to be removed and replaced, ready for new vinyl and the wall sections lined with plaster board followed by a full paint of all interior walls. And to fully complete the job we needed to find a resolution to the entire guttering issue that was the cause of all the damage. The condition of the flooring provided a challenging scenario, met well by the Unique Services team. 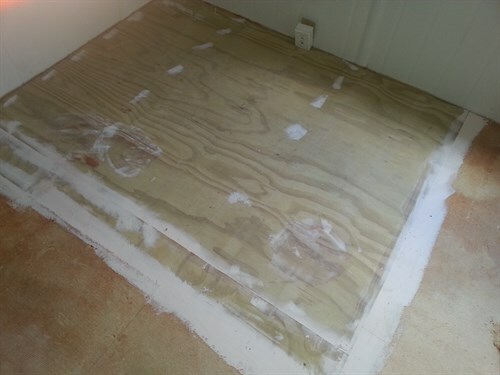 It involved jacking up interior walls in the affected areas, removal of the damaged particle board, repairs to any damaged bearers and replacing affected areas with marine grade plywood. The situation here is best described as varied – different materials and varying degrees of damage. With a combination of polypanel and plasterboard all rooms required maintenance and attention; it varied only in the degree of damage. 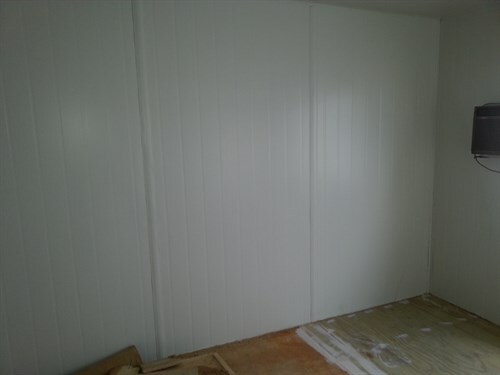 Remediation was carried out and the polypanel walls were painted with Aquanamel, the plasterboard with Dulux Wash & Wear. The old bathroom walls were lined with MDF and had to be completely re-lined with plasterboard prior to painting. To avoid a repeat of the damage already caused by leaky guttering, close attention needed to be paid to this area of the building. A thorough inspection revealed that the existing guttering had been incorporated into the roof line and due to this, it would be nearly impossible to remove and replace it with a new system. An onsite meeting between Unique’s builder and plumber with DB’s site engineer concluded that the only practical solution was to replace the existing roof, improve the fall and then install new PVC guttering all round. This was outside the original agreed price structure and new quotes were prepared. When a unique problem presents itself we work with the relevant experts and the client to come to a solution that best meets all needs. Whatever the issue, we can alter direction accordingly, however if anything new does fall outside an agreed upon quote or contract then of course we consult with you. Collaboration and delivery are core aspects of what we do. If you have a unique cleaning or maintenance job that possibly requires a company with a respect of flexibility, then Unique Services are as always, up to the challenge. Our testimonials page speaks volumes in terms of what we can achieve, so to get an equal level of ‘peace of mind’ give our helpful team a call. Whether you come with questions, queries or simply to seek more info, we are more than happy to help.